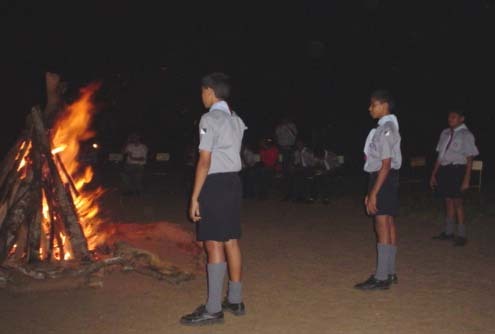 The Annual December 31st Camp Fire of the Dharmaraja Scout Group held at Dharmaraja College with the participation of Dharmaraja Collge Scout Group, Old Scouts Association and Parents. The event kicked off with opening of the fire through a torch coming down on a cable, which was a spectacular view. 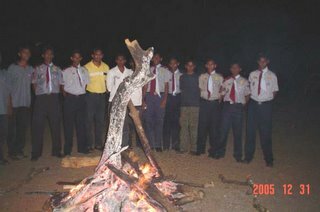 The Group Scout Leader Mr Sarathath Mataraarachi opened the fire. 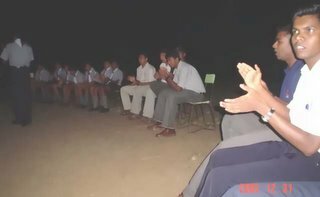 The scout troops performed Drama Items, songs and yarns. They were interesting and entertaining. The GSL said that the year 2005 was a very successful year for the 1st Kandy Scout Group and the arriving year 2006 will bring more success to the 1st Kandy Group and the scouts and wished the group a prosperous new year, on his concluding note. 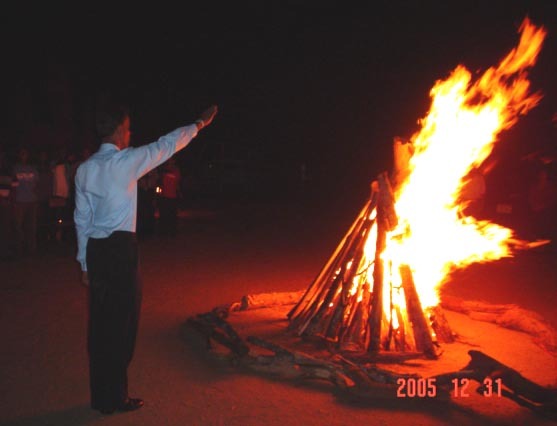 The fire concluded around 8pm in the evening. Congratulations to the organisers for a very successful event.